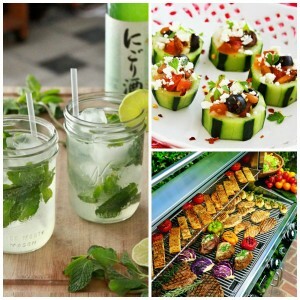 Outdoor Entertaining: Simple Tips for Making the Most of Summer! Canadian summers are short, but oh so sweet. 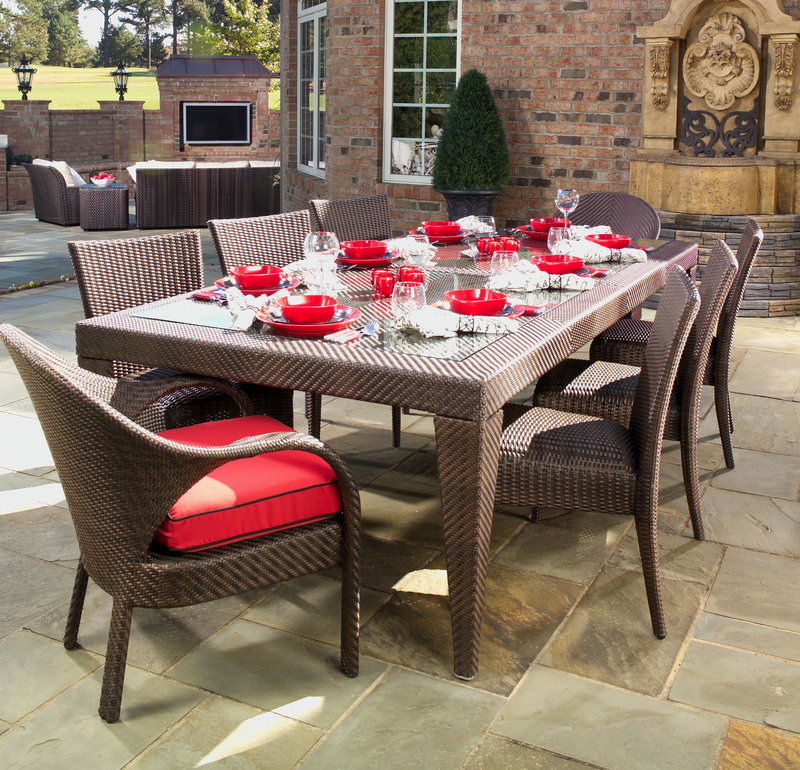 Outdoor entertaining is a big part of summertime fun, and can create lasting memories for years to come. 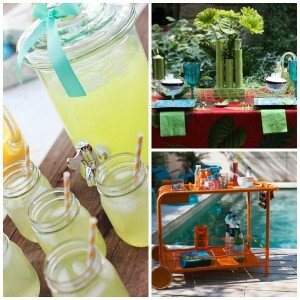 Follow these simple tips to make the most of the summer months, and impress your guests! 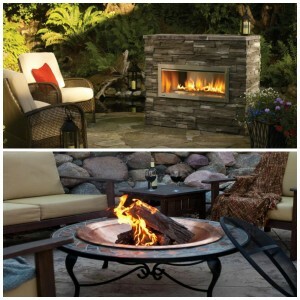 Furnishing and Layout: When planning your outdoor space, keep entertaining in mind. Furniture that maximizes seating, is comfortable and practical, is important. Make sure you’ve got table space for serving food, either buffet style or more formal dining. Be sure to include seating away from the dining area as well, for after dinner socializing, poolside relaxing, or enjoying a fire. Accessorize: Does your party have a theme? Use themed accessories to celebrate the occasion! No theme? Fun accessories can be both stylish and practical. DIY centrepieces, dip-dyed place matts, wine-glass labels or custom drink ware, colour coordinated tableware, paper lanterns, and even a fun bar cart in a matching or accent colour can really ramp up your outdoor space’s style. Lighting: Need a bright idea? Focus on lighting to enhance the atmosphere and the safety of your outdoor event. Solar lights are perfect for illuminating walkways or gardens, while hanging lanterns, string lights or candles will add ambiance to your porch or sitting areas. Get creative! 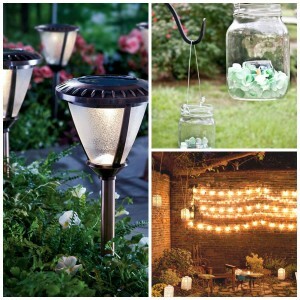 Homemade lanterns can be made from mason jars, and leaf-covered candle holders are a great way to add a natural touch. Music: Music is the heart of every party! 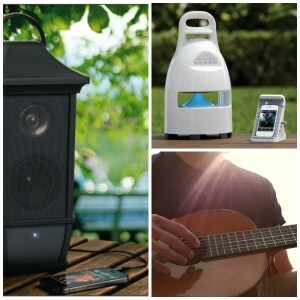 Wireless speakers are a great addition, allowing your chosen sounds to be broadcast in all areas of your outdoor space. Choose low-key tunes for fostering conversation, crowd pleasers for games or dancing, and more ambient music for late-night drinks or fireside socializing. Musically inclined? Why not set up a jam circle and start a singalong with your guests? Great food means a great party! One of the most important things to consider when outdoor entertaining is your menu. Talk to your guests in advance of your event to learn about their allergies, dietary restrictions, preferences and special requests. An obvious choice for food while outdoor entertaining is a cook-out. Fire up that grill! BBQ menus can cater to most restrictions and are very versatile! From steak to burgers, tofu to grilled veggies and fruit, it’s hard not to love grilled food. Plan a diverse menu to insure that all diets are catered to and all guests can eat their fill. Keep finger foods and snacks on hand throughout the party so that guests can graze at their leisure. Pairing canapés or appetizers with appropriate wines, beers, or custom cocktails is a great way to impress your guests! Plan activities that will entertain guests of all ages. 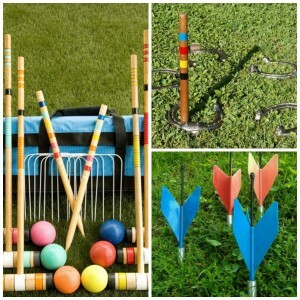 From croquet to lawn darts, pool games to fireworks, boardgames to bonfires, entertainment is the key to any great party! Water play: A pool is a great source of fun if you have access to one! 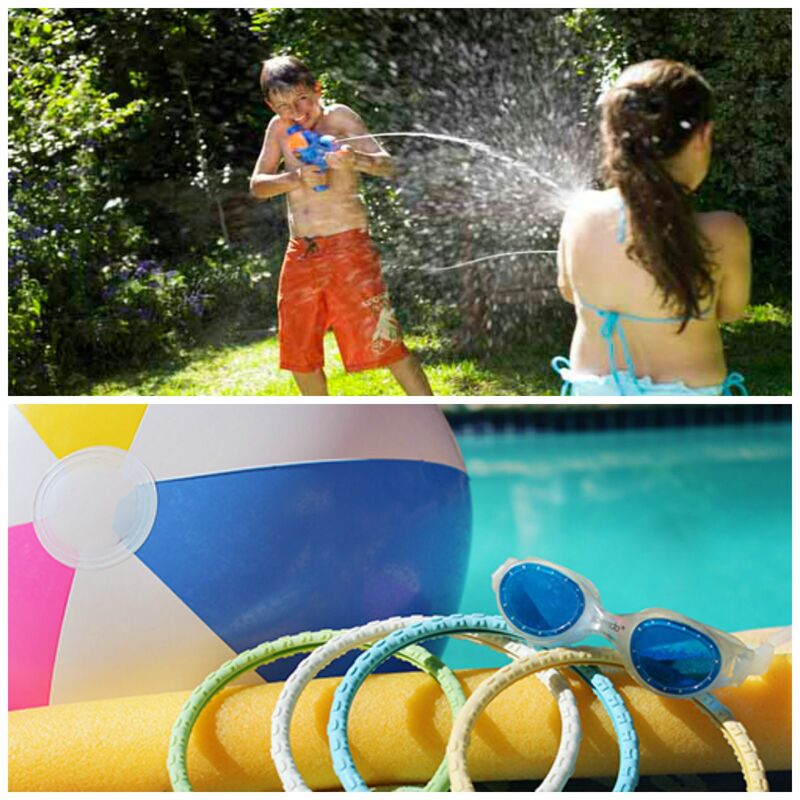 Stock up on pool toys, beachballs and floaties to really make the most of it! No pool? No problem! 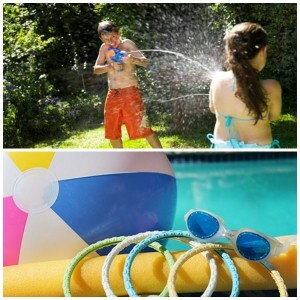 Plan a water fight with water balloons and waters guns, or create a splash zone with sprinklers and slip and slides to keep your guests cool. Lawn games: Lawn games can be great if you prefer to stay dry! 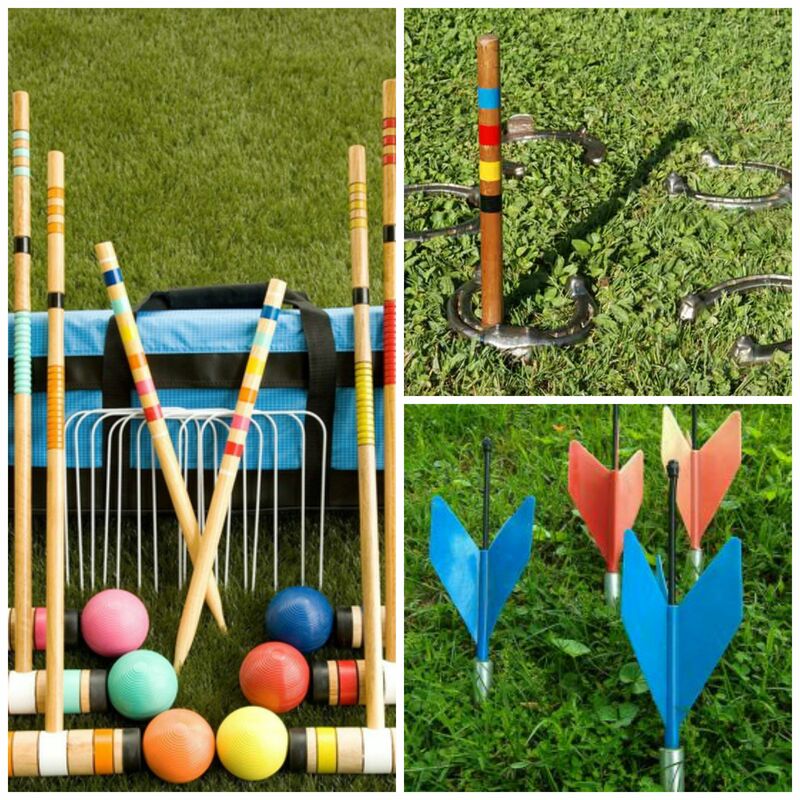 Classics like croquet, horseshoes, lawn darts or lawn bowling can get competitive fast, and really bring the fun! Get everyone involved by hosting tournaments or team competitions and offering small prizes to the winners. Fireside fun: Ending the evening with a fire is a Canadian tradition. Depending on your area’s fire regulations, this could mean a chiminea, an outdoor fireplace, or a classic fire pit. Have marshmallows on hand, along with smore fixings and roasting sticks. Live music around the campfire can add cozy nostalgia to your evening, or use ambient music or jazz and some fine wine to class it up! Always remember to check with your local fire department for any fire bans in effect. With the right style, food, and activities, your outdoor entertaining is sure to be the talk of the town! Enjoy Canadian summer to the fullest with these hosting tips. Have fun!